When it was time to leave the pool, my Father in Law's phone was accidentally placed in a cup of water. This was a brand new phone, which he adored - but did not have insurance on it. We tried the bag of rice trick and that didn' t work. It would have cost over $500 to replace his beloved phone outside of contract. He was left with only one option - to use my original iPhone 3 circa 2010. 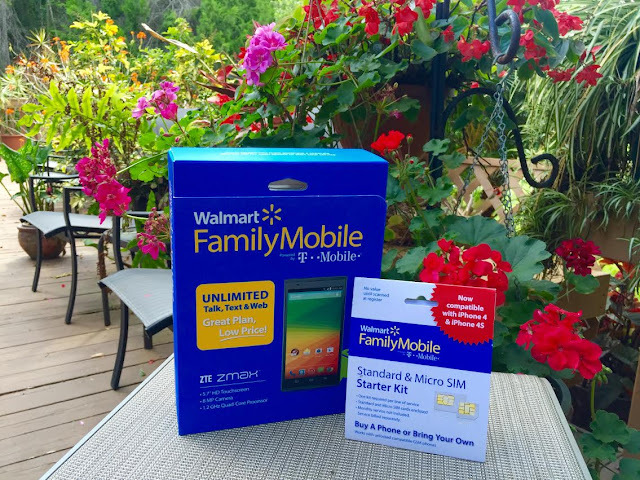 I knew Walmart Family Mobile had great phones with the lowest priced 4G LTE plans - only $29.88/month (for the first line) Unlimited Talk, Text & Data service plan which includes up to 1G of 4G LTE data. For an early Fathers Day gift, we decided to get him the ZTE ZMAX with a few months of service. There were a lot of phones to choose from but the ZTE ZMAX was the closest one in comparison to his damaged phone. He was so happy to receive the ZTE ZMAX and we were all shocked as to the size of the 5.7" HD touch screen. I was very happy to see this particular phone was on roll back at Walmart in Ormond Beach. Disclaimer: All prices for phones and plans included in this post are accurate as of the date of posting; however, these prices are subject to change. Please refer to http://cbi.as/ax84 or your local Walmart for current pricing. 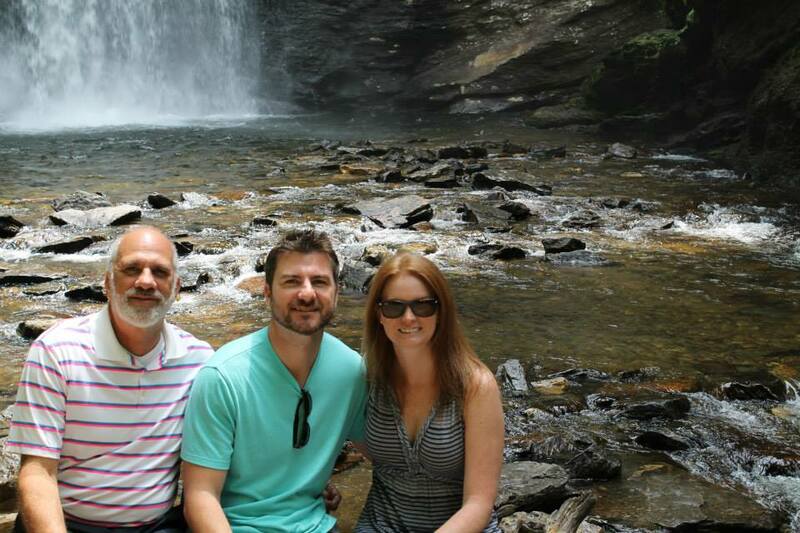 We saved the summer with the ZTE ZMAX. Now we have to keep cups of water away from his new phone!